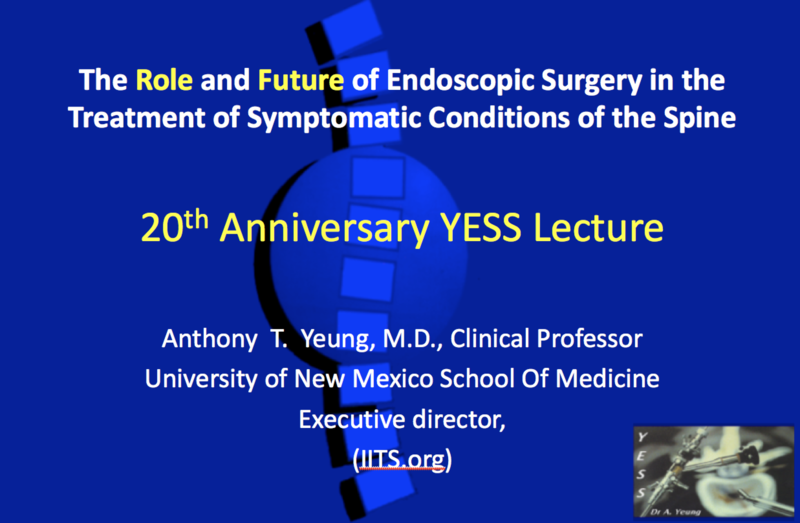 Dr. Anthony Yeung has been invited to China this month (October 10-20, 2018) to give his 20th Anniversary lecture on his Master Talk – The Role and Future of Endoscopic Surgery in the Treatment of Symptomatic Conditions of the Spine. In this talk, Dr. Anthony Yeung speaks about the role of endoscopic spine surgery in the treatment of painful degenerative lumbar spine conditions and shares his extensive experience regarding endoscopic spine surgery and where the procedure’s future is headed. Copyright © 1996-2018 by Anthony T. Yeung, M.D., P.C.